iRealHousewives | The 411 On American + International Real Housewives: Luann de Lesseps ‘Hopes’ Dorinda Medley ‘Took To Heart’ What Bethenny Frankel Said About Her Drinking! Luann de Lesseps ‘Hopes’ Dorinda Medley ‘Took To Heart’ What Bethenny Frankel Said About Her Drinking! 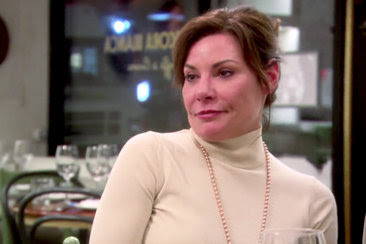 Luann de Lesseps is taking to her Bravo Blog to dish on this week's episode of The Real Housewives of New York City. Luann de Lesseps talks about her relationship with her kids and weighs in on Dorinda Medley's drunken behavior at Bethenny Frankel's Puerto Rico trip. "I’m so lucky that my children support me and do not judge! Victoria and Noel are now adults, living on their own, and I have very strong relationships with them both. They never really bonded with Tom, and as Victoria said, “He doesn’t know how to #hug.” I’m glad I was able to talk to Victoria about what happened and how I have #noregrets. I went in quickly, and I got out quickly, and Victoria is absolutely right — there was no lasting damage. Tom and I are still friendly, and I accept him for who he is. I felt for Carole when she shared with Dorinda that Adam had gone on a date with a woman he would like to see again. It’s never easy to end a relationship with someone you love, but I know that if commitment is what Carole wants, she obviously has to move on. Bethenny invited Dorinda to Puerto Rico because she believed that she would be an asset on this relief trip. Instead, in an effort to appear relevant, Dorinda insulted Bethenny’s partners after she drank too much. You would think that by now Dorinda would realize that drinking makes her aggressive. It’s not a good look, and I hope she took to heart what Bethenny had to say about her drinking. As for living alone, I get Dorinda’s fear of falling and not getting up. Maybe it’s time for her to get a #lifealert necklace? Yet, if moving forward means being alone for a time, I think that’s healthy. That’s why girlfriends are so important.